College of MultiMedia is de enige door Avid geautoriseerde opleider voor Pro Tools. Elk niveau kan worden afgesloten met een certificeringsexamen. When you take a class with an Avid Learning Partner, your instruction will be from Avid’s Authorized Curriculum. Our courses are written by product and industry experts. They are based on real-world scenarios and delivered via hands-on, task-based instruction. The curriculum addresses a comprehensive range of technical proficiencies geared toward both first-time users and industry professionals. Regardless of where you fall on that spectrum an Avid class will empower you for your next level of creative achievement. The courses are stand-alone, making them easier and more adaptable to professionals seeking concise and comprehensive Pro Tools education. 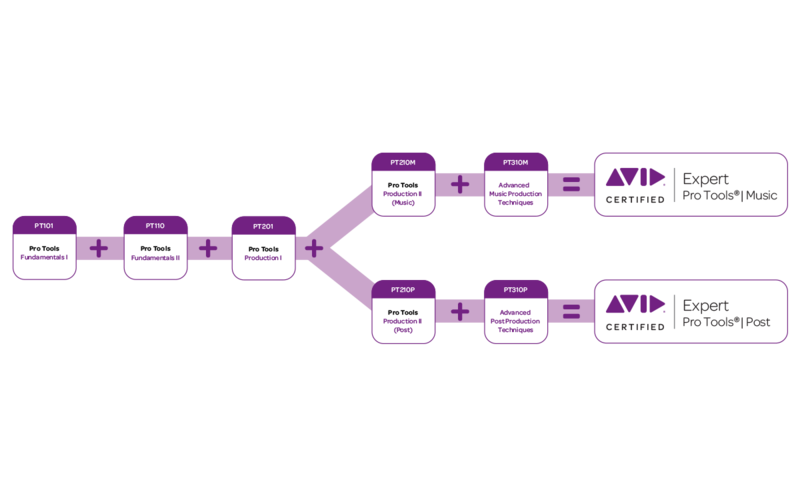 Avid Learning Partners are the only facilities that can offer 200 and 300-level courses, making them the exclusive administrators of certified Pro Tools expert training, but they also offer introductory and intermediate-level education. After completion of the Pro Tools 101, 110 and 201 courses there will be an optional Assessment exam. Upon successful completion of the coursework and assessment exam, you will receive a Certificate of Completion to formally recognize your accomplishment. The Pro Tools completion certificates signifies that you are prepared and able to continue your progress toward User, Operator,or Expert Certification. The Avid Pro Tools User Certification requires that you display a firm grasp of the core skills, workflows, and concepts of digital audio editing on an Avid Pro Tools system. How do I become a certified Pro Tools User? How long is certification good for? Pro Tools Certification does not expire. You become certified for a particular version of Pro Tools software. Then, Certified Pro Tools Operators and Experts have an option to update their certification by taking the Pro Tools 220 update course and exam. The major benefits of becoming a Certified Pro Tools Operator revolve around industry recognition and jobs. How do I become a certified Pro Tools Operator? What areas can I specialise in? Pro Tools Expert Music Certification represents the pinnacle in Avid’s Music credentials. Exhaustively exploring all advanced aspects of music production, the Expert courses will prepare you to work in a wide variety of musical situations and employ techniques that will distinguish you from the competition. When it comes to audio post production, a refined workflow and the ability to handle complex technical situations are critical to your success. Prove that you have both through the Pro Tools Expert (Post) course and certification. You’ll cover advanced topics associated with interoperability, workflow, and more-giving you an edge up in the audio suite. How do I become a certified Pro Tools Expert? Deze prijs is voor de Pro Tools Certified examens van het User, Operator of Expert level. Deze prijs is voor een Pro Tools Assessment examen. 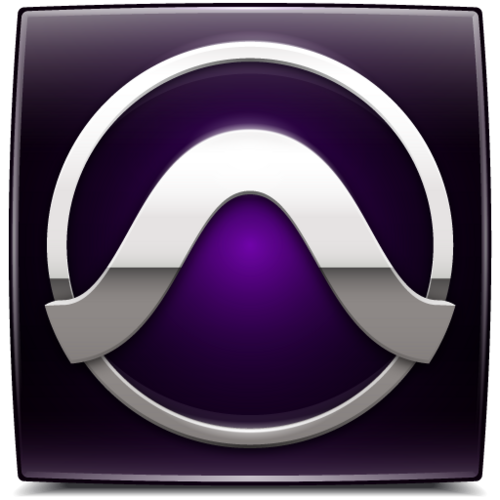 Interesse in de Avid Pro Tools Certificering cursus?